Hello darlings! 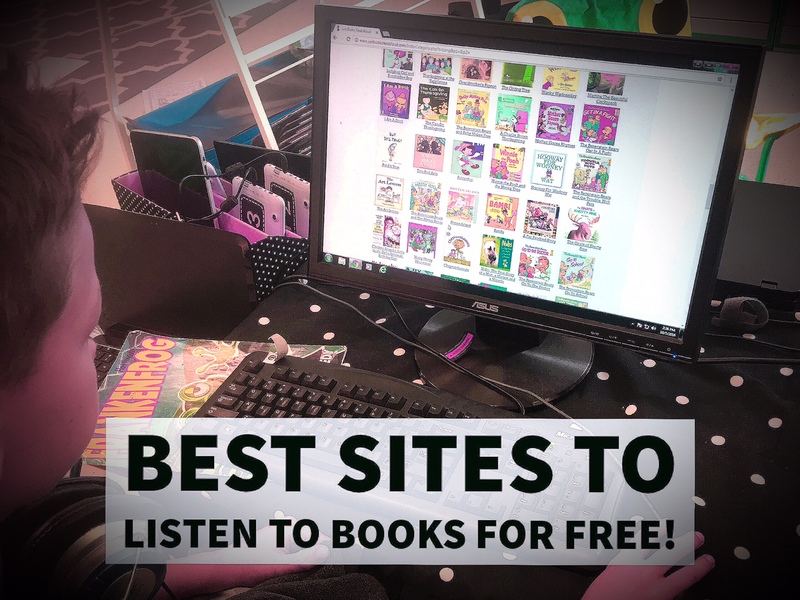 I'm Amy from That Teaching Spark and I have some great sites to share with you for kiddos to listen to books online for free! These are also perfect for projecting on your whiteboard to read together as a class! Why would I need books read aloud for 3rd graders? I started looking for stories that could be read aloud because I always have kiddos who are reading WAY below grade level, but I still need to get them the information. For example, if we are researching planets, those friends can't read the research books, so I find books that can be read aloud for them online. difficult. I have to modify by allowing her to listen to nonfiction. She is extremely smart and can understand our classroom read aloud with no problem, but she can't read in our Book Clubs. I searched around on Youtube and found someone reading aloud Holes. Now my kiddo is "reading" a higher level text, that she can discuss with her peers. She was so proud to be able to put that thick book in her book box. Youtube has many different chapter books read aloud. Of course check them out before letting your kiddos listen. I just search for the book title and "read aloud." My favorite resource right now is Epic. This has over hundreds of popular books! They have some books read aloud but I really like it for the nonfiction and collections that it offers. You can even create quizzes for your students. Watch this video for a little overview. 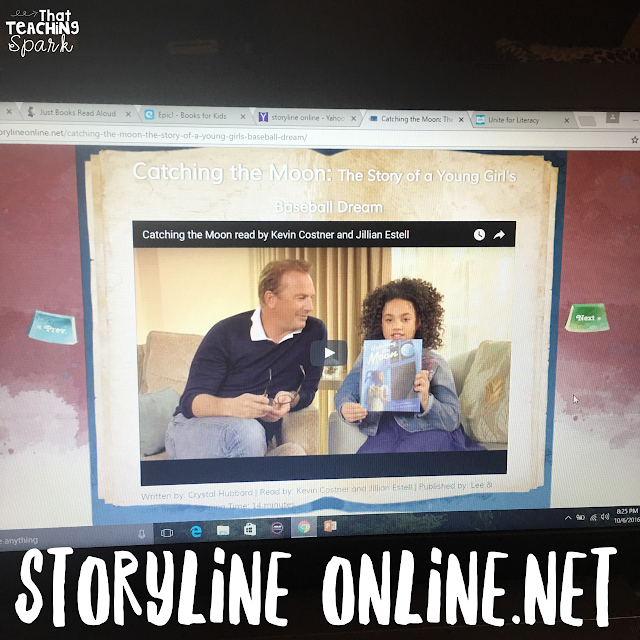 A perfect site to display with your projector is Storyline Online . This site has some popular picture books read aloud by actors and has moving illustrations to keep things interesting. Perfect for your kiddos who need something read aloud, or for a quality time filler at the end of the day! The last free site I will recommend it Just Books Read Aloud. If Epic is the nonfiction king then this site is the fiction queen! It has a TON of fiction picture books and you can select different criteria in your searches. There are many, many awesome PAID sites out there, but I currently do not have the funds for all of that jazz. These free sites suit me just fine! Do you have any other free recommendations? Celebrating Day of the Dead in the Classroom!